The International Human Rights Art Festival offers an ongoing series of art-advocacy events, festivals, workshops and community programs at the intersection of art, spirit and society. We open up space to hear different points of view, to listen to unique stories and perspectives. We believe that beauty, sincerity and vulnerability are the most powerful tools in the activist’s toolbox. We engage in open-hearted creativity and discourse with politicians, social leaders and others as partners, not adversaries. We partner with artists whose work is based in the mystical/activist "I am" or "I should," as opposed to the political/religious/oppositional "you are" or "you should." We open space for healing, reflection and engagement with those we agree with, as well as others who might seem foreign. The International Human Rights Art Festival is a 501c3 not-for-profit organization. In A (Re)Quest for Freedom, dancers and musicians from Europe and from the USA search for possibilities to be free, in their movements, their sounds, in community, in society, individually and together. The evening presents a wide scope of artistic forms including contemporary Dance, African Global Theater and compositional improvisation. A poetic call for equal rights and an uplifting invitation to celebrate the living body. Featuring Gwen Rakotovao Company, presenting Gwen’s her solo excerpt Fitiavana (Esperanto); Oxana Chi & Layla Zami presenting I Step On Air , a dance-music-theater piece dedicated to the iconic activist, poet and speech therapist May Ayim; Pianist, composer, & bandleader Mara Rosenbloom and The Lovelies, a compositional improvisation dance company. June 2, Tribal Baroque, Playroom Theater, 151 W. 46th Street, 8th Floor, New York, NY 10036. Tribal Baroque will be prayforming excerpts from their latest vocal theater piece entitled "The Pantheon Of Electric Beasties," about a despot who takes over a city using seductive entities called electric beasties. Thoth and Lila’Angelique are world-based nomads using countertenor and coloratura soprano vocals to create fantasy operas based on love and devotion, accompanied by ritual theater, dance, foot-percussion, and violins. March 15, 2020, Shalom/Salaam: A Muslim-Jewish Conference for Solidarity (Learn, Participate, Watch, Enjoy! ), midtown Manhattan. We will reprise our highly successful daylong journey (April 14, 2019) to Abrahamic peace and understanding with another combination of meditation, workshops, performances and poetry! In addition, of course, to our annual Festival at the Wild Project, East Village (December 9-15, 2019). Stay tuned for further information on these events!! The International Human Rights Art Festival is partnering with Columbia University's Ratrock Magazine and Amnesty International-Columbia to bring a full-day of programming to that illustrious institution this fall, 2019! Mbizo Chirasha, Zimbabwean poet currently living in exile in East Africa, has been named the 2019 IHRAF International Fellow. Mbizo will be a regular African Contributor to the IHRAF PUBLISHES series; be our African Representative of IHRAF (broadcasting, publishing, popularizing IHRAF projects, activities and the festival and help suggest Writers, Writings and Poets for the publication. Mbizo Chirasha is an acclaimed wordsmith, performance artist, widely published poet and writer. He is the Founder and Creative Director of several creative initiatives and projects, including Young writers Caravan Project, This is Africa Poetry Night 2006 – 2008, Zimbabwe Amateur Poetry conference 2007 – 2010, African Drums Poetry Festival 2007, GirlChildCreativity Project 2011- Current, GirlchildTalent Festival 2012. We are thrilled to welcome soon-to-be elected Congresswoman Alexandria Ocasio-Cortez — from the very same neighborhood in Queens where the Founding Producer lives — to the Honorary Committee, joining our growing list of partners who engage with us. Ms. Ocasio-Cortez is a self-described democratic socialist. 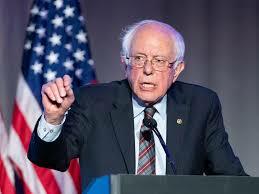 She supports progressive policies such as Medicare for All, a job guarantee, tuition-free public college, ending the privatization of prisons, and enacting gun-control policies. Welcome to the team, Alexandria! Due to an outpouring of indignation over Senator Susan Collins’s (ME) casting the final vote to confirm Brett Kavanaugh for the Supreme Court, and her statement that she didn’t believe Dr. Ford’s assertion that Brett Kavanaugh accosted her, we have removed her name from our list of honorary co-sponsors for the International Human Rights Art Festival at the Wild Project, from November 12-18, 2018. We very much appreciate all of the new friends who have contacted us about her vote and removing her name — we agree. Her lack of candor, of empathy, her reliance on “junk science” to ignore Dr. Ford’s claim and her insincerity has led us to believe that we do not want her name attached to an event that includes such a sincere and passionate collection of artists, activists, performers and speakers. We are very excited to announce our new publishing initiative, in which we will be occasionally featuring literary artists who base their work in our founding principles: beauty, sincerity and vulnerability. As the Sufis say: "Words spoken from the mouth will never get past the ears, but words spoken from the heart, enter the heart." We will feature such heart-speakers. Check it out here. If you are a writer who would be interested in being featured as part of this initiative, and feel that your work fits our mission, please contact us at humanrightsartfestival@gmail.com! A brief introduction to the video that Congressman and Civil Rights hero John Lewis made for the International Human Rights Art Festival. The full video, which explores the influence and importance of art on Congressman Lewis during the Civil Rights era, will be shown at the International Human Rights Art Festival opening event, Friday, November 16, 2018 at the Wild Project in NYC. IHRAF is thrilled to announce our new media partner: WNYC, the USA's largest public radio station! WNYC will be helping us get our word out to their 1.7 million listeners and 2 million website visitors a week, as our news and logo become part of their world! Thank you, WNYC, we are looking forward to sharing a great summer and fall together. 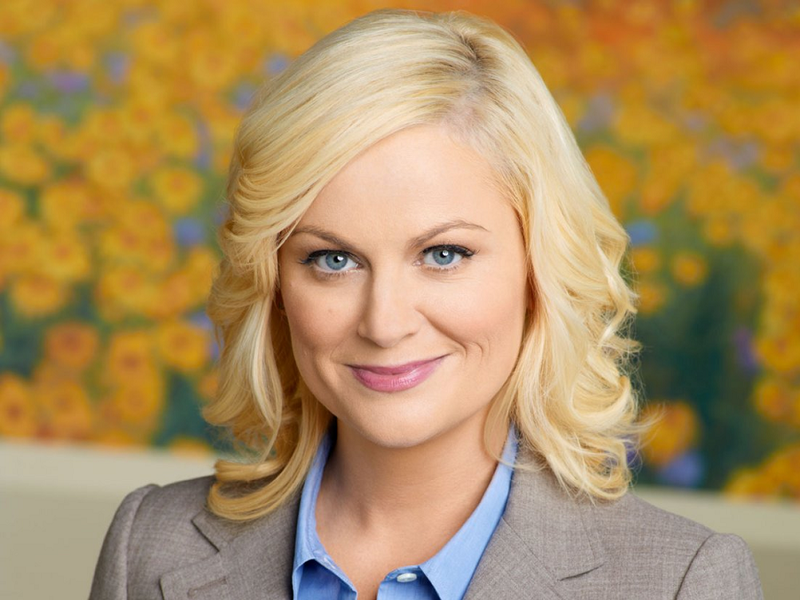 We're very excited to welcome Amy Poehler as the latest addition to our list of Honorary Co-Sponsors! Ms. Poehler, founder of NYC's Upright Citizens Brigade Theatre, was a cast-member of Saturday Night Live from 2001-2008. She is best known for starring as Leslie Knope in the NBC sitcom Parks and Recreation, for which she won a Golden Globe Award for Best Actress in a Television Musical or Comedy Series in 2014 and a Critics' Choice Award for Best Actress in a Comedy Series in 2012. We're honored to have Ms. Poehler's support! Omoyele Sowore at the inaugural International Human Rights Art Festival at Dixon Place, March 3, 2017. 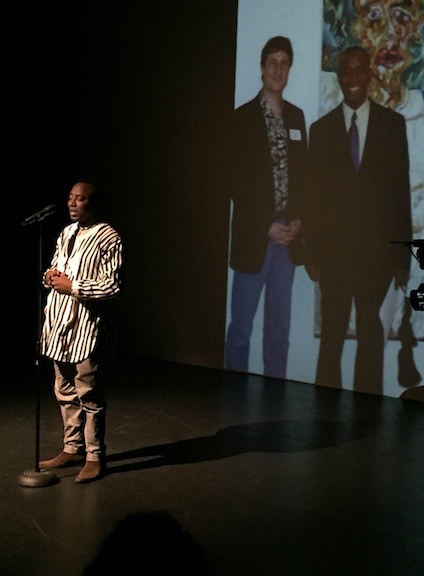 Behind him is a projected image of him and Festival Producer Tom Block, in front of a painting of Mr. Sowore by Mr. Block, in 2002 at the AFL-CIO Headquarters in Washington DC. Festival friend, participant and supporter Omoyele Sowore is running to become President of Nigeria! Mr. Sowore was born on February 16, 1971 in the Niger Delta region of the country where he was also raised. He studied geography and planning at the University of Lagos and holds a master’s degree in public administration from Colombia University. While in the University of Lagos, he was deeply involved in anti – military demonstrations and student unionism which ultimately culminated in his election as the President of the Student Union Government where he served between 1992-1994. In 1992 at University of Lagos, Sowore led 2,000 students in protest against Nigeria’s notorious kleptocracy. Police opened fire, killing seven. Sowore was arrested, interrogated and beaten, and later found out his family too had been put under pressure. 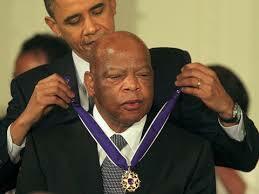 But he refused to back down in the struggle for decent education in his country. For his vociferous anti – government campaigns, he was harassed, arrested and detained for about 8 times in various detention centers. Sowore has remained consistent in his struggle to emancipate his country from the clutches of the racketeers and plunderers. He fled the country to the United States in 1999. Omoyele Sowore represents different things to different people. To the corrupt politicians, the ruling class and their paid and unpaid apologists, Sowore is a tool in the hands of the opposition. However, to the incorruptible and liberated victims of misrule, corruption and dictatorship, he represents the audacious candle that brightens the scars inflicted on the soul of our nation. IHRAF Producer Tom Block talks with Dr. Bob Lee on BronxNet's "Open" program about the Celebration of Black Men, at the Davenport Theater in midtown Manhattan, on March 12. Norman Lear with Festival friend Kathleen Turner at Norman's 95th birthday party last year. We are thrilled to announce that Television Producer, National Medal of Arts Winner, founder of the People for the American way and a strong activist for three-quarters of a century Norman Lear and the Lyn and Norman Lear Family Foundation, our strongest supporter to date, has granted us support to underwrite our interim events between now and the full Festival in November, allowing us to concentrate on providing the most passionate, powerful and transformative activist performances that we can muster. Thank you Norman Lear, Festival Godfather! The Dramatist Magazine, official periodical of the Dramatists Guild, published an article in their edition on censorship (January/February 2018) about their important role in finding us a home for our banned program back on October 15. Additionally, they used Festival Producer Tom Block's artwork on the cover of their magazine, as well as in the interior, to illustrate their exploration of censorship. Barbra Streisand has joined the International Human Rights Art Festival as an Honorary Co Sponsor! Additionally, she has donated money to us through her Streisand Foundation. Ms. Streisand is a singular American talent, having won two Academy Awards, ten Grammy Awards including the Grammy Lifetime Achievement Award and the Grammy Legend Award, five Emmy Awards, a Special Tony Award, a Kennedy Center Honors prize, the Presidential Medal of Freedom, and nine Golden Globes! Award-winning (C-Span Studentcam) high school videographers Dalya Block and Kalina Gibson completed their documentary of the first IHRAF -- check it out here! NYU Broadcast Journalist student Hannah Foley made a beautiful short reportage about our celebration on the 70th anniversary of the issuing of the Universal Declaration of Human Rights, "A Celebration of Women's Power," in honor of Eleanor Roosevelt, who was chair of the drafting committee for the document. Featuring Rachael Sage, Dancing Georgina Project, Marni Rice and Xiomara Evans. Find out about our History, Mission, supporters (including Senator Charles E. Schumer, Congressman John Lewis, Presidential Medal of Arts Winner Norman Lear, and more). Want to join in on the upcoming 2018 IHRAF in NYC? Have an event you'd like to cross-promote with us? We want to hear from you!